We are residents of Brookfield, Ohio and the surrounding area who have been lawfully opposing five (yes, five!) 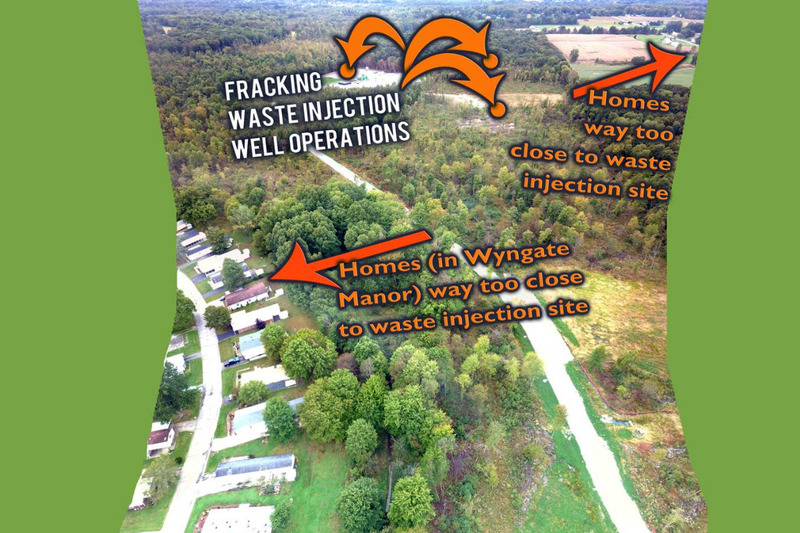 proposed toxic fracking waste injection wells planned to be constructed and operated way too near family homes, a stream, businesses, and government buildings in a region that we believe is now man-made earthquake-prone and is an abandoned coal mine area. The people must now face, in their legal appeal, the resources of the state AND the oil and gas company, Highland Field Services, a subsidiary of Seneca Resources.. Amazing! So.........the citizens really need your financial help to keep their legal appeal going. We can speak with a loud voice on behalf of all people living near oil and gas processes and infrastructure by keeping this legal action going. We are grateful for any donation, large or small. This injustice must stop now, and let it start at Brookfield. Gloria’s home is way too close to waste injection well number five – the one we are currently trying to lawfully stop. 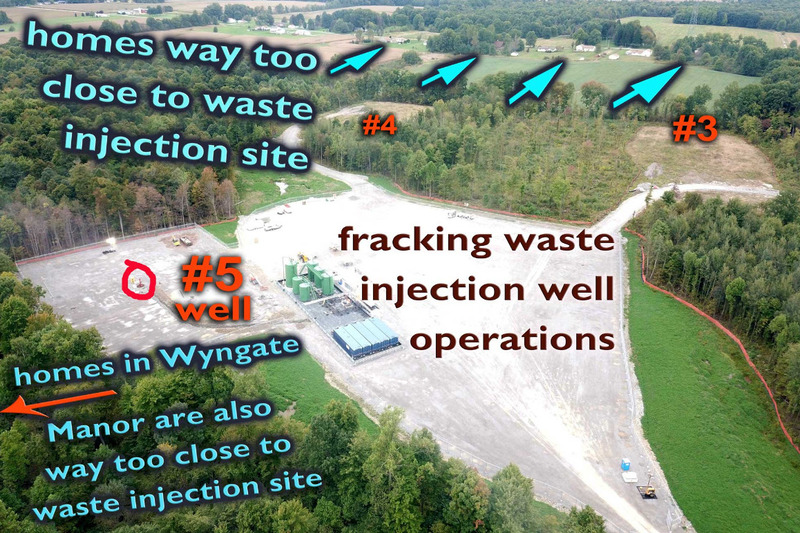 An important update regarding a fracking waste injection well legal battle to lawfully stop an injection well!! 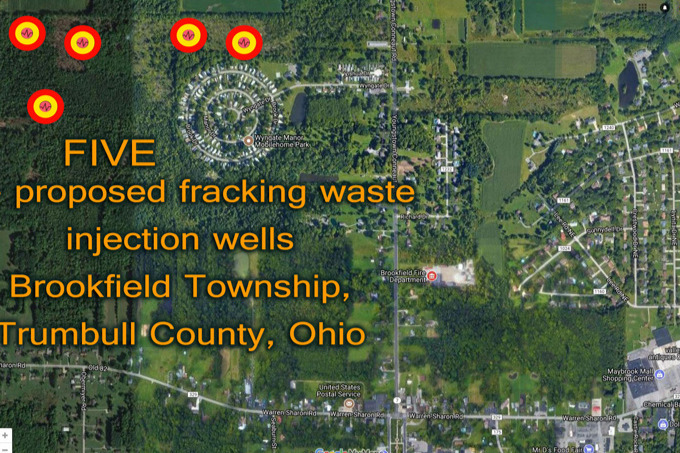 The injection well in question is located in Brookfield, Ohio, a residential area that is way too close to an area known for injection well – related, man-made earthquakes! It is astonishing and unconscionable that this situation can even be happening in the small town of Brookfield, Ohio. We need your help, please, as we lawfully fight for the peoples’ right to live free of this toxic fracking waste injection well site encroachment on their public health and safety, their rights to their way of life and on their right to maintain their private property rights and values, and to protect their safe drinking water!! If we can succeed here, we believe this will be helpful for anyone, anywhere, who is lawfully opposing unjust and unsafe injection wells or other oil and gas related infrastructure. We are attempting, through this legal action, to get the state to revoke its injection permit for a fracking waste injection well that is in an area that is way too close to an area of known man-made earthquake activity and also way too close to where people are trying to live their lives free of heavy industrial operations practically in the midst of where their homes exist. No one knows for sure where all of the faults might lie that could cause potential man-made earthquakes related to injection wells and/or fracking. Therefore, we believe that siting injection wells, without knowing where the faults are, is really a form of gambling with public health and safety. That is unacceptable. How large might the potential induced earthquakes get in magnitude? This is unknown, too. There has already been a magnitude 4.0 man-made earthquake not far from Brookfield, that occurred in Youngstown, Ohio in 2011. This 2011 quake was linked to an injection well. Man-made quakes related to injection wells in Oklahoma have reached magnitude 5.7 and possibly magnitude 5.8. This is highly unacceptable. 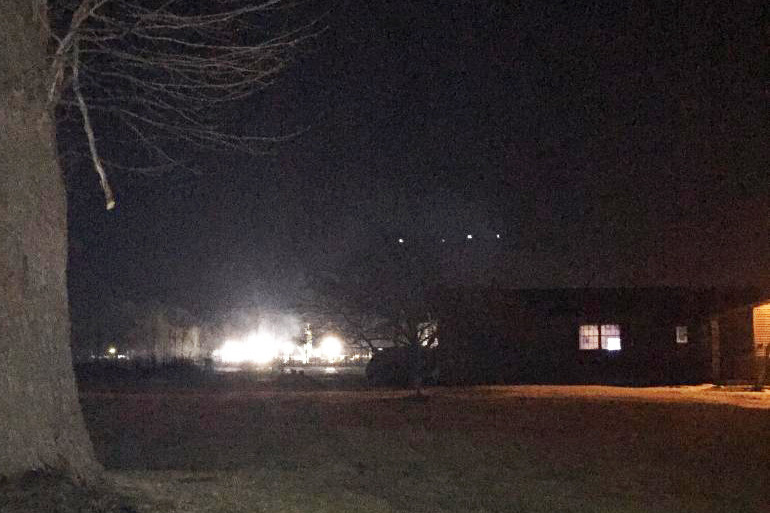 Sleep and way of life of the nearby Brookfield residents are unjustly disturbed. 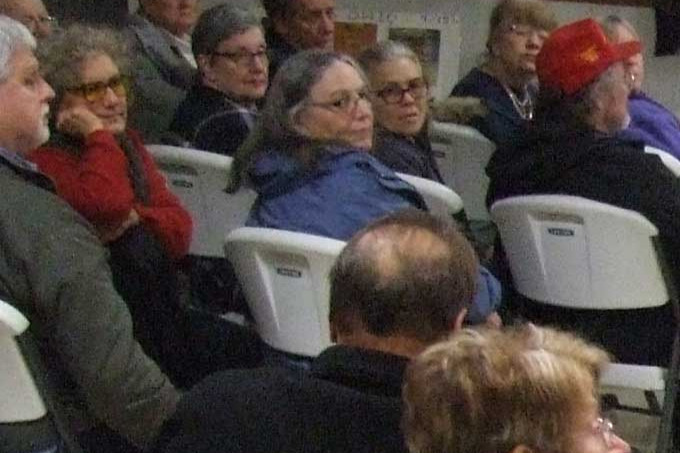 Important questions about the injection well site go unanswered causing tremendous stress and strain for the many people who live there, and even in the region. This is absolutely not right and is a violation of Brookfield residents’ rights, and their right, and the region’s right, to maintain and protect public health and safety, and to uphold private property rights and values. We are now in the discovery phase and the deposition phase of this legal action. Depositions are set for May. We must respond to questions sent to us by ODNR and also by Highland Field Services, a subsidiary of Seneca Resources, the owner of the injection well in question. This means that not only are we facing the huge financial resources of the state of Ohio, we are also facing the enormous financial resources of the large oil and gas company who was allowed to intervene into our legal action. But, we citizens are doing this!! We will not give up even in the face of this strong opposition. We cannot let this potentially highly damaging situation continue. 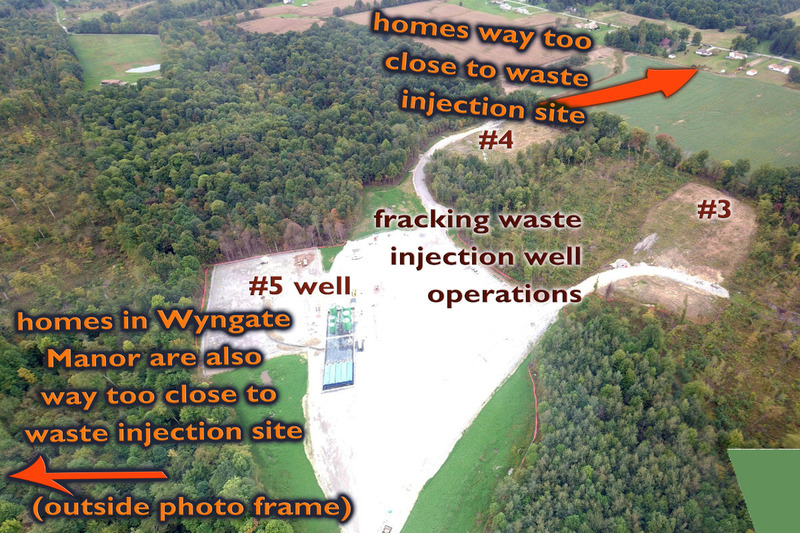 People are living way too near to this injection operation, which was originally planned by Highland Field Services (a subsidiary of Seneca Resources) to be comprised of five (yes, five!) injection wells. So, we are asking for your help. We have a great environmental law firm who has taken our case. They are doing a fantastic job, and we are very grateful! But, we need your continued help with the funding for expert witnesses, depositions, attorney fees, and other normal costs associated with litigation. Any donation amount – large or small - of even just one dollar or so - will add up and be greatly appreciated and used wisely in our legal battle that we hope will help all of us who are engaged in similar situations, since it will be an example of where the people --we hope -- prevail against daunting odds. And, would you please share this Gofundme page widely on Facebook, Twitter, and other social media, and with your friends and family who might be interested in helping this important effort succeed? Just sharing this information, even if you cannot make a donation now, is tremendously helpful, too. Thank you in advance for your donations and for sharing this Gofundme page and spreading the word. We are extremely grateful to all who have donated, and we hope that you will please consider helping us succeed once again. Together, we can do this!! Thank you!! First the citizens took on a first-of-its-kind legal action against the state of Ohio's permitting a fracking waste injection well right near where hundreds of people live and too near a known area of induced earthquake activity and in an abandoned coal mine region. It is astonishing! Now, the oil and gas company has intervened into the citizens' legal action against the state!